99W Drive-In Wins Best Drive-In Movie Theater in the U.S.A. 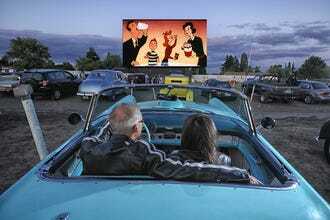 The first drive-in movie theater opened in Camden, N.J. on June 6, 1933, and by the 1950s, there were more than 4,000 drive-in theaters in operation in the U.S. The rise of home entertainment led to the decline of the classic American drive-in, and today there are fewer than 400 in operation. 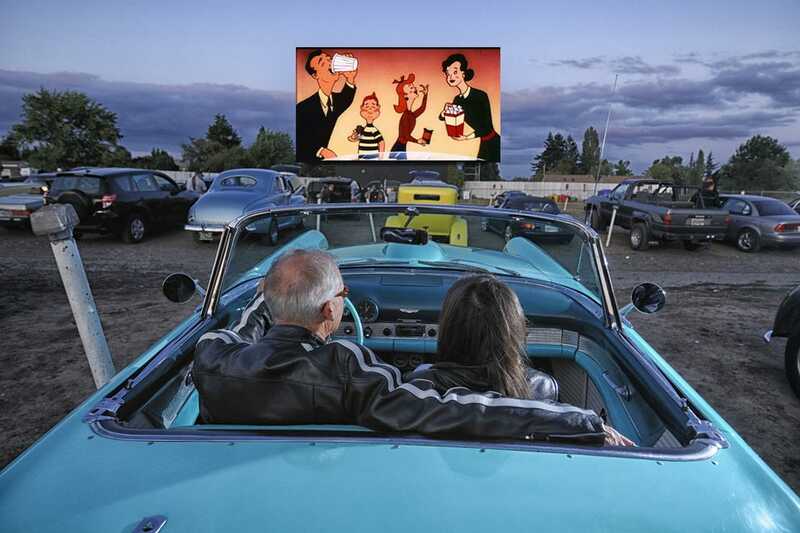 Still, this great American pastime is undergoing a revival, with many drive-ins converting to digital projection and offering innovative concessions. Three generations of the Francis family have been showing movies at this drive-in theater in Newberg, Ore. The theater opened with a single screen in 1953 and continues to screen movies between April and October. Capri Drive-In Theater opened in the summer of 1964 just west of downtown Coldwater – the halfway point between Detroit and Chicago on US-12. Today, the theater features two screens showing double features on Fridays and Saturdays. Situated in the heart of Central Illinois, Harvest Moon Twin Drive-In Movie Theatre shows new releases on its two screens and operates three concessions. The Snack Bar serves classic movie snacks each night, while the Burger Barn and Tiki Hut are open for weekends and special events. 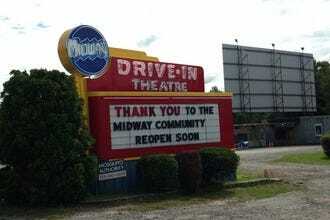 The Midway Drive In Theatre,in Minetto, N.Y. opened for business in 1948 and is the oldest currently operating Drive In Theatre in New York State. The single screen Theatre is known for its triple features nearly every weekend. The Midway was the first Drive In Theatre, in the USA, to screen "open captioned" movies for the deaf community and continues the tradition every Sunday night. Movie-goers at Becky's Drive-In Theatre in Walnutport, Penn. have their choice between two screens, each showing a double feature on weekends during the season from April to October. The Skyview Drive-In opened in 1949 and became famous for the bright pink paint job it enjoyed throughout the 60s and 70s. 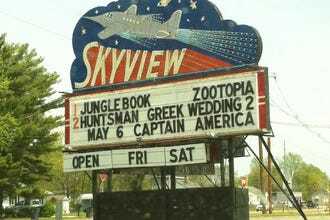 While the pink may be gone, Skyview continues to show double features on Fridays and Saturdays to a loyal legion of movie buffs. In July of 1953 Motor VU Drive-In opened with the films Branded and Meet Me at the Fair. Guests still enjoy double features on weekends, along with pizza, popcorn and other concession favorites. The 2016 season marks the 65th anniversary of the Admiral Twin Drive-In in Tulsa – a theater operating two nine-story-tall screens showing double features. 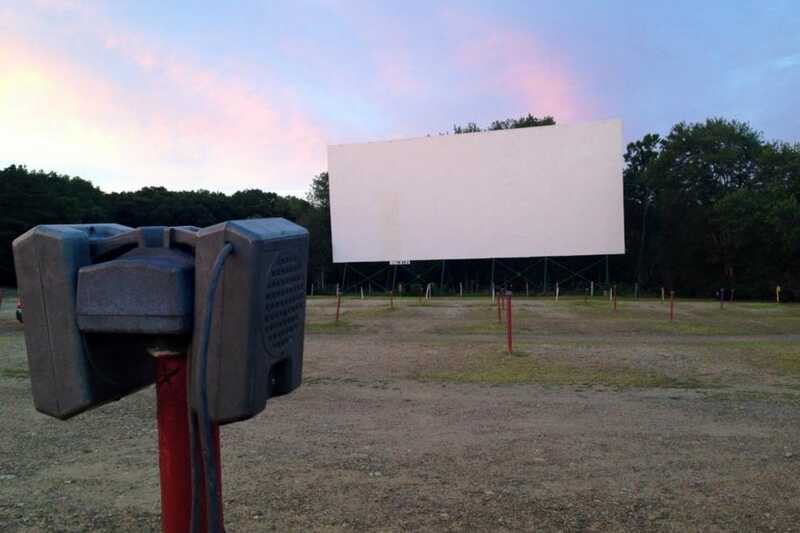 Besides showing double features on each of its three screens, Mansfield Drive-In Theatre also hosts a popular flea market each Sunday – the largest flea market in Eastern Connecticut. 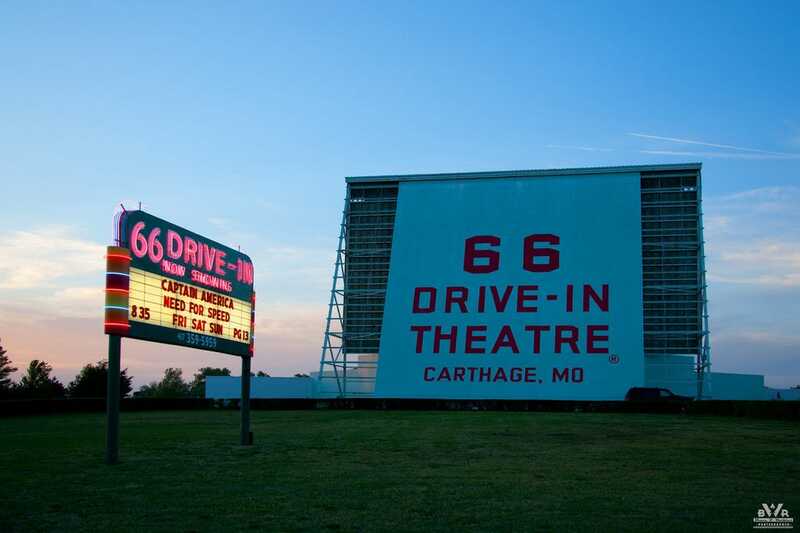 Located along Historic Route 66 in Carthage, Mo., the 66 Drive-In is one of the few remaining historically intact drive-ins operating on the Mother Road. The theater plays double features each Friday, Saturday and Sunday. 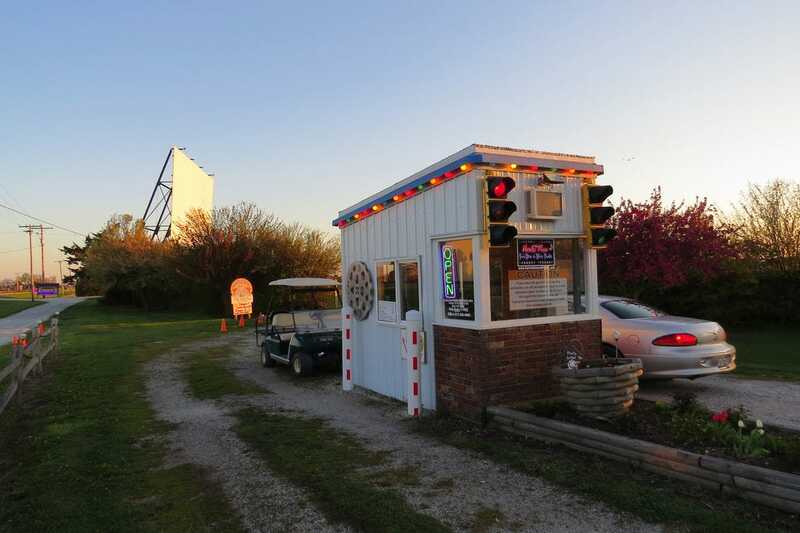 We asked our readers to vote for their favorite American drive-in from a pool of 20 nominees. The competition was fierce, particularly among the top three finishers, but in the end it was 99W Drive-In of Newberg, Oregon that earned the title. 99W Drive-In - Newberg, Ore.
Capri Drive-In Theater - Coldwater, Mich. Harvest Moon Twin Drive-in Movie Theatre - Gibson City, Ill.
Midway Drive-in Theatre - Minetto, N.Y.
Becky's Drive-In Theatre - Walnutport, Penn. Skyview Drive-In - Belleville, Ill.
Motor VU Drive-In - Dallas, Ore.
Mansfield Drive-in Theatre & Marketplace - Mansfield Center, Conn.
66 Drive-In - Carthage, Mo. A panel of experts picked the initial 20 nominees, and the top 10 winners were determined by popular vote. 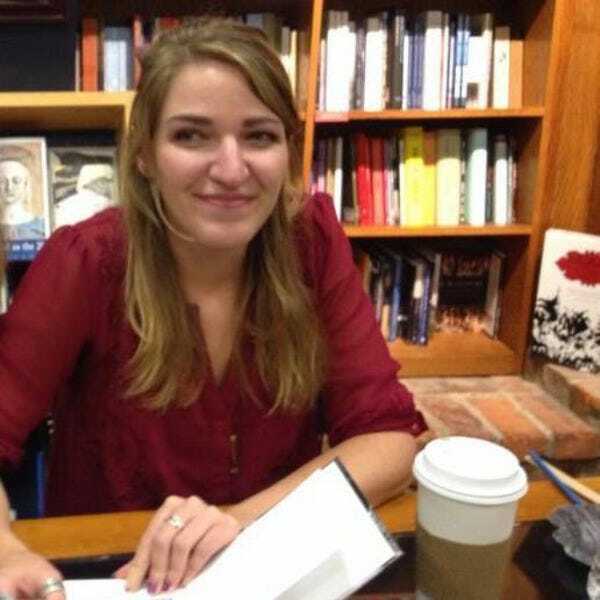 Experts Anna Hider (Roadtrippers) and Lindsey Rickert were chosen based on their knowledge of great American drive-ins. Other nominated theaters included Bengies Drive-In Theatre in Middle River, Md. 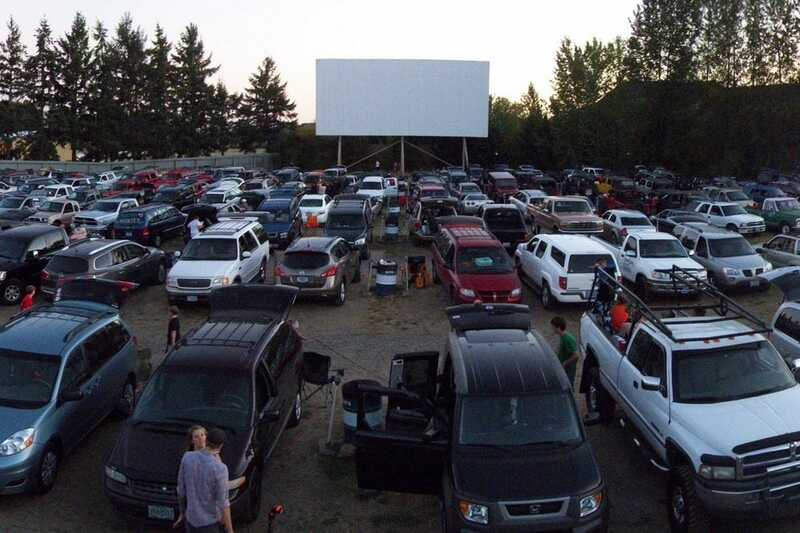 ; Blue Starlite Mini Urban Drive-in in Austin; Coyote Drive-In in Fort Worth; Delsea Drive-In Theatre in Vineland, N.J.; Rodeo Drive-In in Bremerton, Wash.; Saco Drive In in Saco, Maine; Skyline Drive-in in Barstow, Calif.; Spud Drive In Movie Theater in Driggs, Idaho; Starlight Drive In in Atlanta and Starlite Drive-In in Amelia, Ohio. Congratulations to all our winning drive-ins. 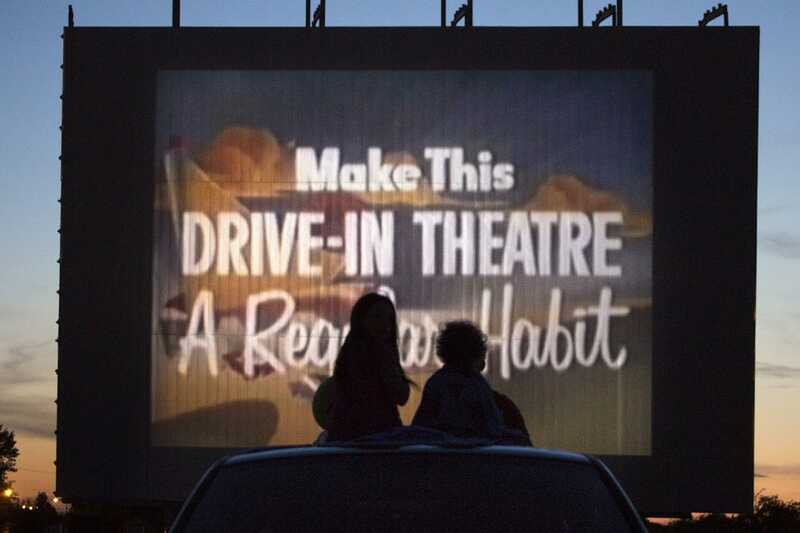 Next time you're looking for something fun to do with the family or that special someone, hop in the car and head to your nearest drive-in to help preserve this American pastime! Lindsey Rickert is a photographer based in Portland, Oregon. In 2014, Rickert hit the open road in search of a disappearing American icon, the drive-in movie theater. Thanks to a loaned 2015 Honda Fit from Honda's Project Drive-In campaign and the help of 81 generous Kickstarter backers, Rickert was able to photograph a total of 29 theaters, both abandoned and operational, during her 65 day adventure. Rickert's photographs have since been compiled into her first book, Drive-In America, which is available for purchase on her website.